Hope you are all having a good week, we have been having plenty of sunshine for the last week or so, but this week it seems to be decidedly colder. Anyway my eye seems to be getting better each day though I haven't been doing any crafting, luckily I made a few of my DT cards in advance but today's is the last one so hopefully I will be able to get back into crafting soon. This is beautiful, Pat, and so elegant. 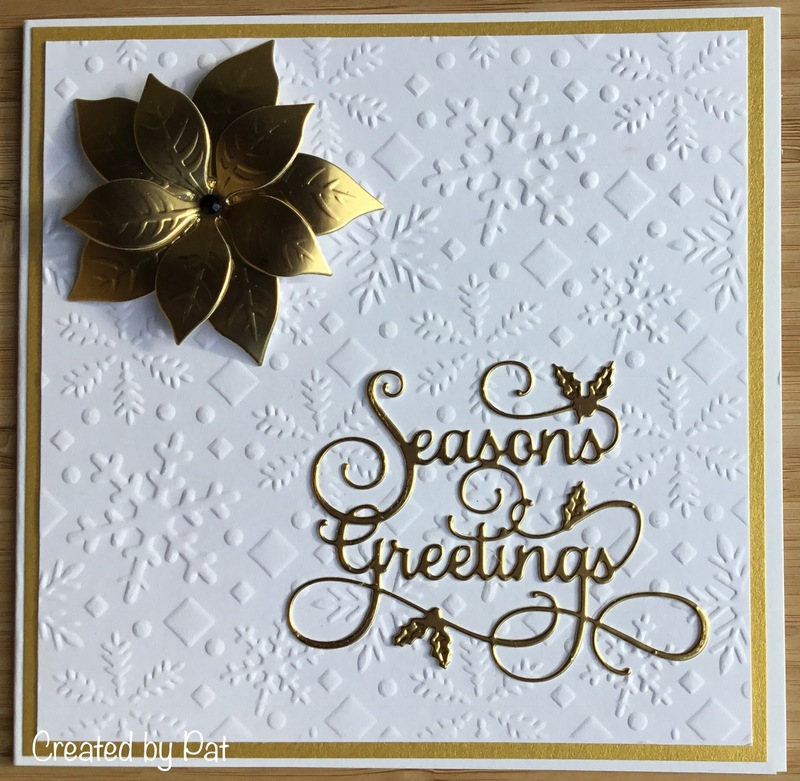 The gold sentiment and poinsettia look great on the embossed white card. Beautiful card, CAS and very elegant. So beautiful Pat..pleased to hear your eye is getting better. Very elegant and pretty Pat! Love all the embossing. This is beautiful Pat, very elegant. A beautiful card Pat, a lovely embossed background and elegant design.